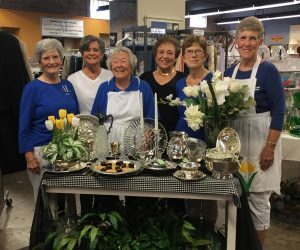 In 1984 a group of committed women formed the Assistance Guild of Wichita. 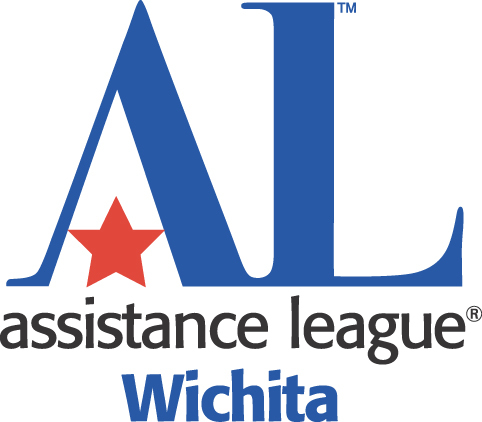 Two years later in 1987, Assistance League of Wichita became the 75th chapter of National Assistance League. 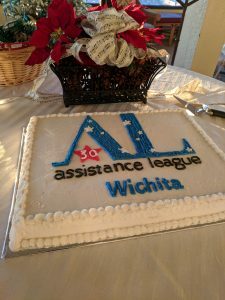 In the 30 years since Assistance League of Wichita has followed the vision of the founding members and grown into a well-recognized organization that supports four philanthropic programs in Wichita. In 1984 and 1985, planning and fundraising meetings were held. The goals were to establish a building fund, a recurring fundraiser, and identify community needs for philanthropic programs. 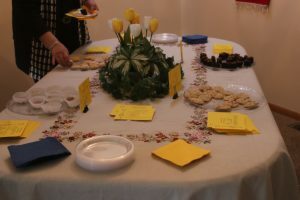 The first fundraiser for members was a “Taste A Round” featuring members special dishes and a recipe exchange. The identified on-going fundraiser was the “Wichita Coloring Book”. Our first community support activity was “First Step” by providing clothing to the Crisis Center. 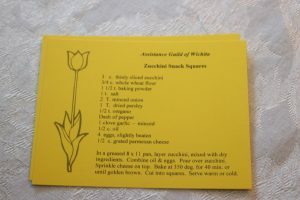 In 1987, the Assistance Guild of Wichita was charted by National Assistance League as the Assistance League of Wichita. In 2017, we celebrated our 30 years of supporting the needs of families and children in our community. These programs are supported by our Thrift Shop sales, grants and generous donations. Our Thrift Shop located at 2431 E. Douglas in Wichita provides 57% of our budget and continues to grow in sales each month. Operation School Bell® which serves more than 3,000 students annually and had aided over 81,000 students since 1985. Scholarships to USD259 graduating seniors who are pursuing a vocational program at Wichita Area Technical College or Butler Community College. Over 250 scholarships have been awarded since 1988. Bear Hugs where new teddy bears, journals, sketchpads, and tote bags are given to child victims of violence. More than 3,600 teddy bears have been provided since 1997. Assault Survivor Kits® where clothing, footwear, and hygiene kits are provided to the Wichita Area Sexual Assault Center to be distributed to women, children and men who have been victims of sexual assault. Our hard-working member volunteers are dedicated to continuing the mission of transforming lives and strengthening community. 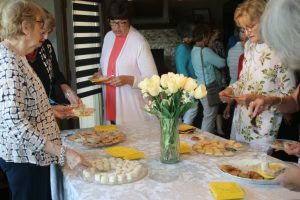 As part of the 30th Anniversary celebration the “Taste Around” was resurrected for members to enjoy. 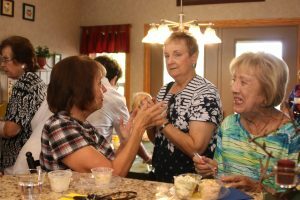 This was a great opportunity for new members to enjoy hearing more about our history.